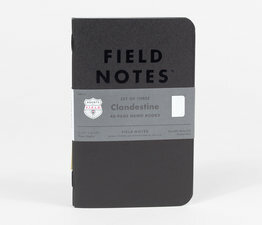 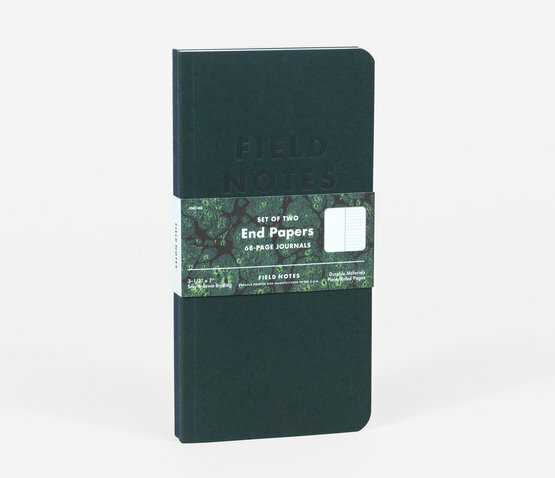 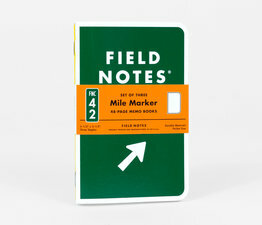 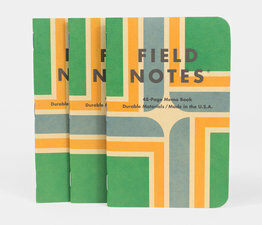 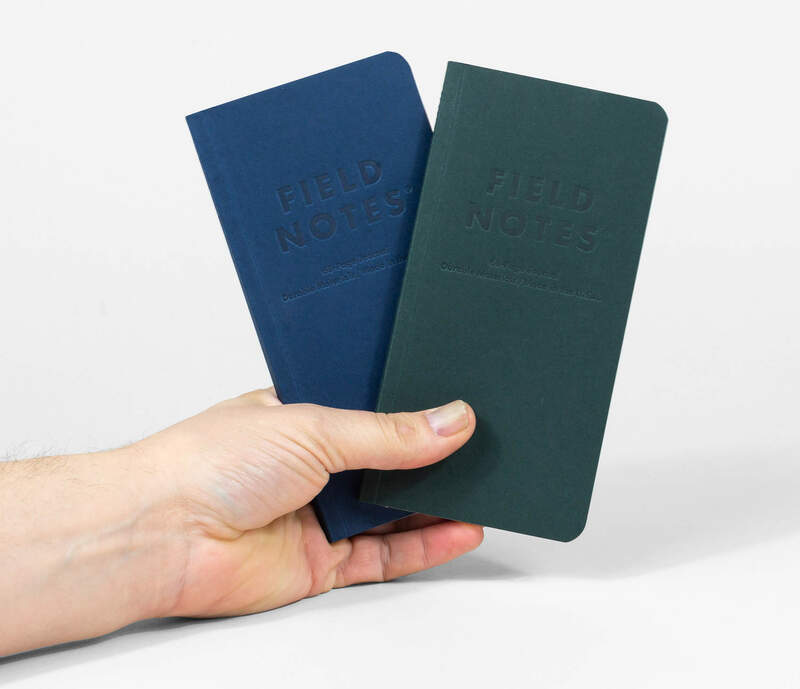 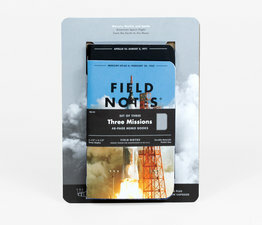 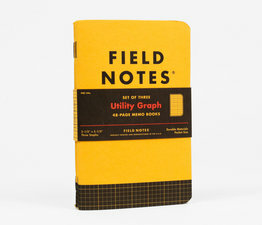 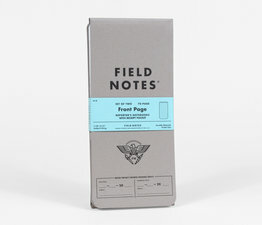 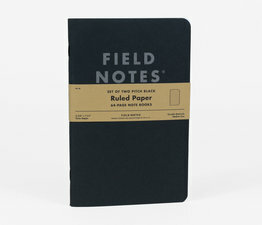 The 40th design of Field Notes Quarterly Edition series. 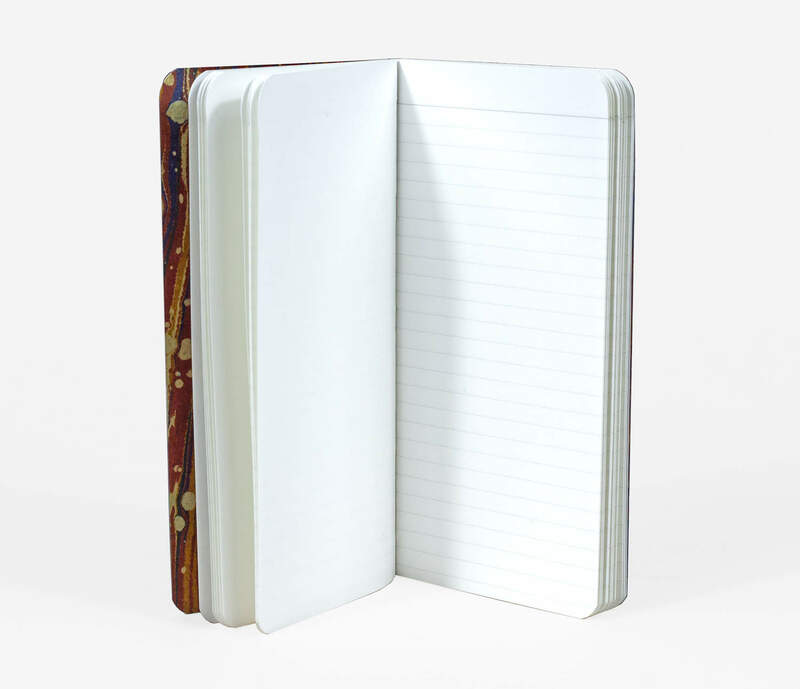 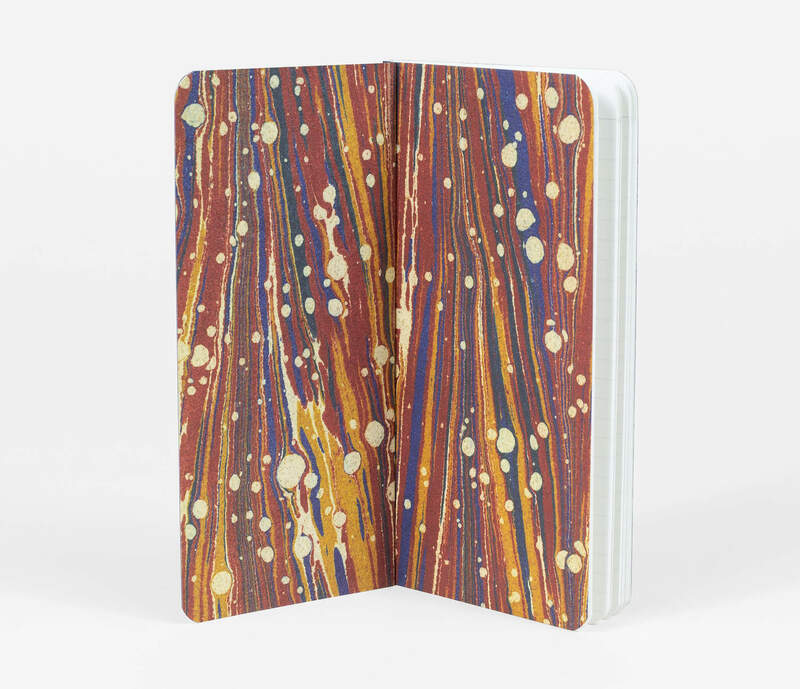 These timeless and traditional journals feature a slim profile, and perfectly simple, sturdy covers with vintage marbled end papers, high-quality paper stock and sewn-in-signature binding. 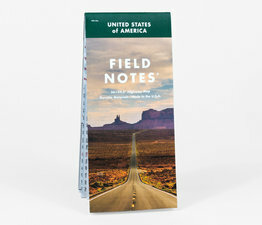 Books are 3.25" x 7" with 68 lined pages. 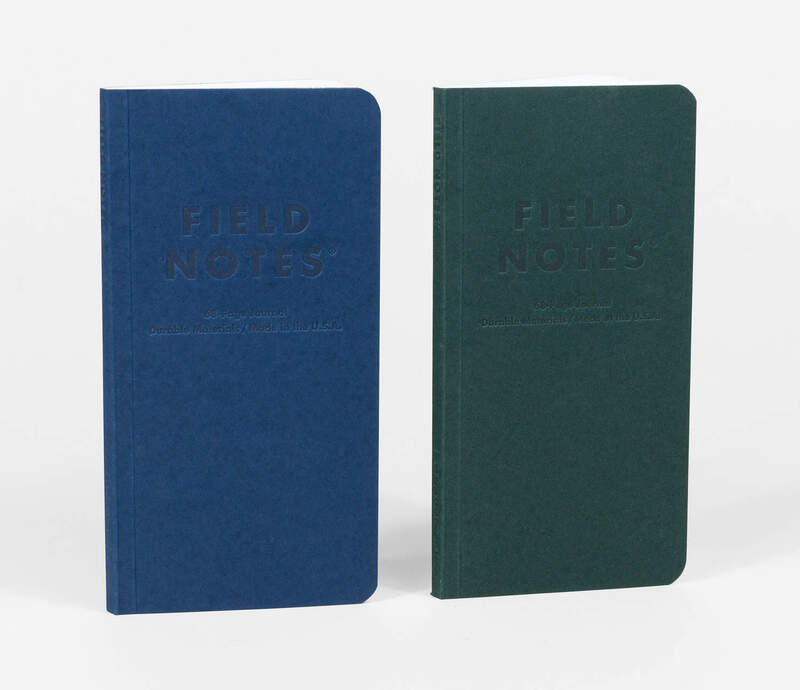 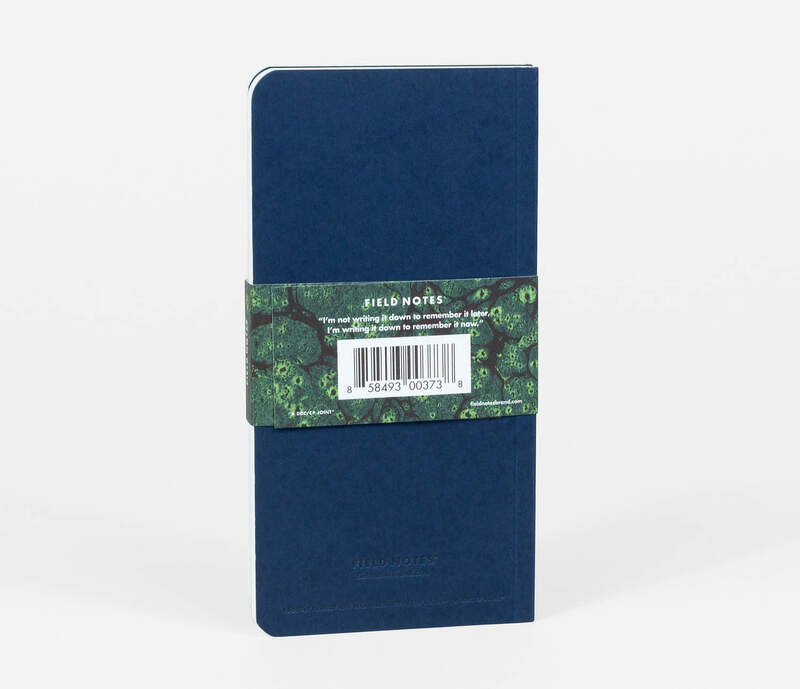 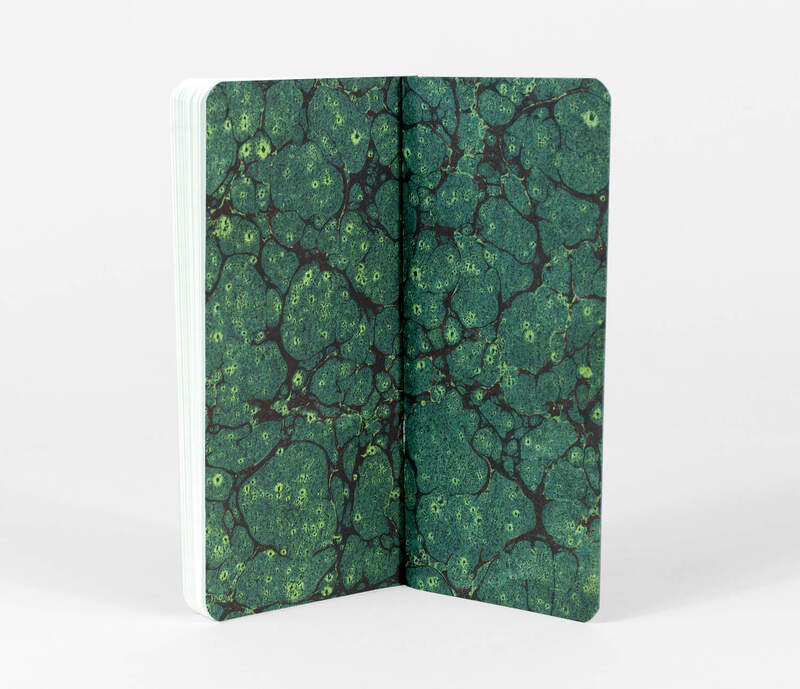 These 2-Packs feature one of each French Construction "Timber Green" and "Nightshift Blue" 100#C with debossed text and 70#T “endpapers” duplexed inside for an extra-heavy-duty cover.